I set some pretty lofty goals for myself for this past year. If you read my Ode to 2017 post then you already know that 2017 was not the best year for me. Overall, I feel like I did manage to achieve a lot of the goals that I set for myself, but at the same time, I feel like I failed a lot of them in a big way as well. I chose a single word to be my theme for 2017 and that word was GROW. I wanted to grow in my relationships – with God, with Brian, with my babies, with my parents, my brothers, my grandmothers and other extended family members, my friends, my co-workers. I wanted to reestablish deep and meaningful connections and spend more time with the people who make life worth living. I wanted to grow as a person – my patience, my spontaneity, my relationship with myself, and I want to try to overcome and outgrow some of the things that I struggle with daily. I wanted to grow as a blogger – grow my relationships with other bloggers, grow my following, grow my traffic. While I do feel like I did a great job growing in some of these areas, I feel like I failed miserably at others. 2017 ended up being a year that centered more around self-reflection rather than growing closer to others, and while that was not my original intent, I feel like it ended up being the right thing for me to do this year. Honestly, for the first three quarters of the year I didn’t feel like myself, I felt frustrated, I felt stressed out, I felt unmotivated, I felt blah, I was tired of being in pain all the time, and I pretty much felt like I was just keeping my head above water. It’s hard to grow in your relationships with others when there’s a lot you need to work on for yourself first. Start Reading a Daily Devotional. YES. I started reading Jesus Calling last year and I absolutely love it. Three quarters through the year, however, when life continued to get more and more frustrating and exhausting, I fell off the wagon mostly just because when getting in the bed at night, all I wanted to do was go to sleep, not crack a book. And I’m not remotely a morning person, so I never read mine in the morning. Be positive, worry less, complain less. NO. Y’all, I tried, but with all of the curve balls that were thrown our way last year I completely failed at this. A natural-born worrier, this is something that I will be working very hard on until the day I die, I suppose. Work harder to cherish Brian. NO. If I’m being honest, I don’t think that I went above and beyond like I wanted to. Brian and I have a very good relationship, but I really wanted to work hard to make it even better. Read The Five Love Languages with Brian. NO. I bought the book back in January and I had such good intentions, y’all, but we never even cracked it open. Monthly Date Nights with Brian. YES. If it’s one thing that B and I know how to do, it’s making time for one another and having fun together! 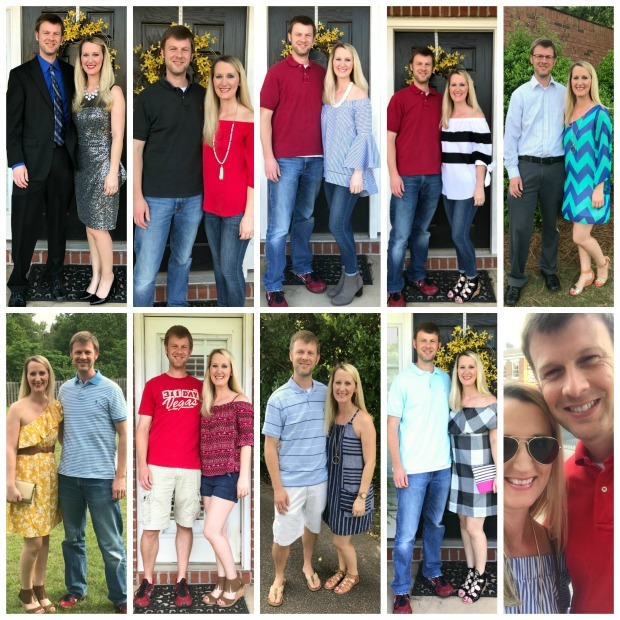 This year we went on 12 dates, and in addition to that we went had several days alone together in Atlanta for my doctor's appointments, and we went on a weekend getaway alone... something we hadn't done since 2012! Monthly date nights with my girlfriends/friends. YES. We did miss a couple of months, but since we all have babies and most of us work, it’s just impossible sometimes to get everyone together, and that is out of my control. We did have many lunches and dinners together, and we even took a day trip to Rock Ranch back in October, so I’m calling this one a win. I also had a couple of fun nights out with coworkers and a couple with my Momma and my aunt. Clean out everything. NO. While I cleaned out a few things here and there, I didn’t do near as much as I wanted to. Organize coat closet. YES. I finally got this cleaned out back in October. I didn’t have a chance to add any hooks or functionality to the closet, but it’s coming soon! Organize laundry room. NO. Never touched it. Didn’t even try to. Sell old stuff. NO. Y’all, with all these nos I feel like such a failure right now! Continue making the bed every day that we’re home. YES. And now that I’ve gotten in the habit, there’s no need to even list this as a goal for 2018. Clean out computer files. NO. I’ve had this on my New Year’s goals lists for the last two years, y’all, and I still haven’t even tried. Cut Long-Term To Do List down by 1/4. NO. I did manage to do several things on my Long-Term to do list but I didn’t cut the list down anywhere near 25%. Looking back, I’m not sure that this goal was realistic to begin with, though. Tone up. YES. I joined the gym and I have been rocking that treadmill on a huge incline. I also bought this stair stepper for home and my legs feel fantastic. I feel like they are almost as toned as they were when I used to run cross country! I have fallen off the wagon the last couple of weeks since the kids have been out of school for Christmas break, but overall I completely rocked this goal in 2017 because I worked out so consistently. Vitamins. YES. I did look into this but I ultimately decided not to take a multi-vitamin right now and instead try to focus on getting my vitamins through eating healthy foods. I did start taking a probiotic that I’m loving so I’m calling this a win. Find a contraceptive that’s better for me. YES. This was the second best thing that I did for myself all year, y’all (you’ll see what the very best thing is next). And I’m about to get personal here, so if you don’t want to read this sort of stuff, just skip the rest of this paragraph. Anyway, I had been on the pill for a couple of years since I had stopped nursing Olivia and it was making me feel all kinds of bad. I decided to completely ditch it at the beginning of last October and I CANNOT STRESS ENOUGH HOW MUCH BETTER I FEEL ALL-AROUND. All health issues that I had been having completely disappeared into thin air – my anxiety has lessened, my weird stomach issues are gone (although that could be thanks to the probiotic), my weird stomach bloating/swelling/burning disappeared, the swelling in my feet disappeared, my random nausea disappeared, my horrible cramps disappeared, and I feel more like myself again. I had mentioned to you guys that when I was on the pill I kind of felt like a duller version of myself? Well, not anymore! Also, I dropped the few pounds that I had put on permanently these last couple of years. I’m telling y’all, this has completely changed my quality of life and I will never go back on that little death-pill ever again. It was causing my whole body to feel yucky. So what contraceptive am I taking now? Honestly, none. 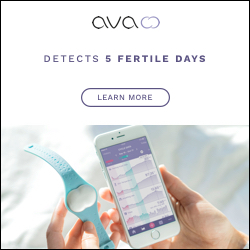 <Insert little cringey-face emoji here> We are doing natural family planning now and I am using the Ava bracelet to assist with my cycle tracking. B and I got pregnant immediately all three times we started trying in the past so I cannot tell you how much this worries me, but I figure at this point we’ll do everything we can naturally to prevent it, and if it’s God’s will for us to have another baby so be it. Personally, it’s more important that I keep myself healthy and feeling good than trying to prevent pregnancy. Find a new doctor for my chronic back problems. YES. I don’t talk about it a lot on the blog, but I’ve had chronic pain ever since Jacob’s delivery back in 2011 and I have been to numerous doctors, specialists, chiropractors, physical therapists, you name it, but nobody has ever been able to figure out the problem. This past summer I tried that experimental treatment called prolotherapy that I had mentioned in my goals post for 2017, and unfortunately it didn’t work. It completely broke my heart – not to mention our wallet – and it was also one of the reasons that I was forced out of my job as all of those days off for the treatments contributed to my vacation depletion. Well, shortly after prolotherapy, I started seeing yet another new physical therapist, this time a pelvic physical therapist, and y’all, she has completely changed my life. I have no idea why in the world nobody ever thought to refer me to her before, nor do I know how I never came across pelvic physical therapy during my hours upon hours of research, but I am so thankful that this woman is now in my life. She has found several of the issues (all are in my low back and pelvis, mostly with my sacrum and a little bit with my SI joints) and she has been working to correct the issues for a few months now. After several months of going to see her, I can now sit without pain for hours at a time, my gait has been corrected, and I’m no longer having knee pain, hip pain, IT band pain, SI joint pain, and tailbone pain. I’m still not 100% well, but my pain has decreased so significantly that I don’t feel hopeless anymore and my quality of life has improved by a bazillion percent. After being in constant pain for six and a half years, I finally know and remember what it feels like to be normal again. Starting to see this new physical therapist was BY FAR the best thing that I did for myself all year. Shoot, it was BY FAR the best thing that I’ve done for myself in the last six and a half years! Get Olivia completely potty-trained. YES. And she was probably the easiest kid to potty-train ever. We literally handed her some underwear one day and that was it. She never went to the bathroom in her pants again. SUCH a blessing since Jacob was pretty much the hardest kid to potty-train ever. You may remember our famous Poo Poo Party? Get Olivia accustomed to her new toddler bed. YES. It only took a couple of weeks and she was perfectly happy going to bed on her own. Get rid of Olivia’s paci. YES. We took it away back at the beginning of July and she was sad for a couple of days. Then she was over it. This kid adapts to change SO WELL. She does not get that from me. Give Jacob some responsibilities around the house. YES. He is now responsible for getting his book bag cleaned out and put away after homework, he lets Maui out when we get home from school, he asks to be excused and he takes his plate to the sink after meals, he puts his dirty clothes in the hamper each night, and we are now working on drilling it in his head that he must clean up one activity before moving on to the next. We also switched his car seat from the four-point harness to the regular seat belt which has given him more responsibility as he can now buckle himself. Praise! 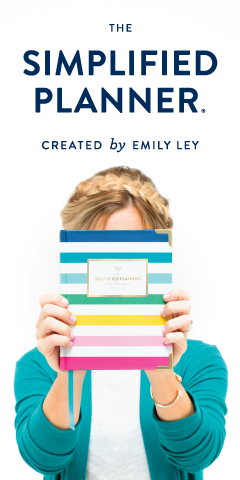 I set some pretty specific goals for the blog for this past year… this is how I did. 8. Possibly sponsor a fellow blogger for more exposure (still on the fence about this one, though) – YES, although I didn’t end up going the sponsored route. I was featured instead. 10. Update old posts (watermark pictures, create Pinterest worthy images) – YES, I did a few. 11. Change Instagram account to a business account – NO, I decided not to, though. 12. 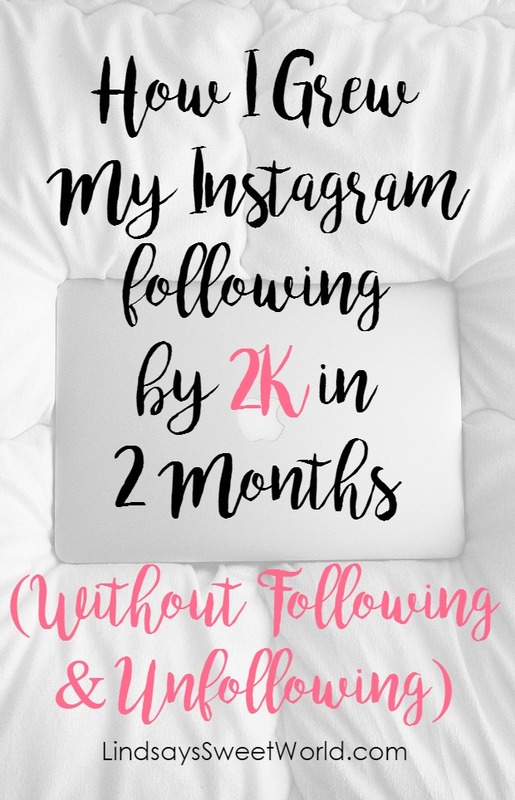 Instagram – increase following to 5k – YES and then some! 15. Twitter – increase following to 1k (and actually start using it… I just don’t like it) – NO, but I’m so close. 17. Join Amazon Associates… because I heart Amazon so freaking much! YES and I have been completely rocking it! I love me some Amazon! As for blogging, I would say that I did pretty well on these goals, but I slowed the blog work way down in the second half of the year because it was consuming way too much of my time and energy… something I didn’t have when I was working a full-time job. Overall I’d say that I did okay on my goals for 2017. I think we can all agree that 2017 was a tumultuous year that ended up being a year of self reflection and trying to “get myself right” for lack of a better term. Stopping birth control and resolving my chronic pain with the start of seeing this new PT were both HUGE for me and I’m so thankful that I made both of those decisions this year. I think this has equipped and prepared me to have a much better 2018. Stay tuned for my 2018 goals… they’ll be on the blog tomorrow! Spoiler alert, you’ll see a few from above again this year! I feel like you totally knocked it out of the park with your blog goals!!! That is awesome!! And I am so happy to hear that this new PT is helping to relieve you of some of your pain. I know you were so disappointed with the Dr. in Atlanta since it didn't end up working out. I can't wait to see what your goals are for this year! Girl I totally get it with the computer files lol they are a pain to clean out! I think you did fantastic with your 2017 goals! 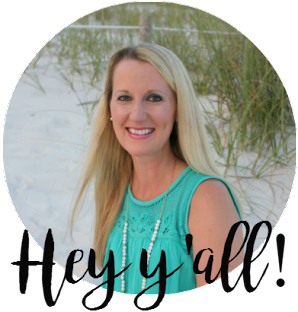 You rocked the Blog goals! Can't wait to see what you have planned for 2018. So glad you were able to get some relief for your back problems. You did great! I am impressed! I feel like you rocked 2017 -- even with the bumps you had to dodge and manage. I often wonder why some seasons of life hand us more than we know how to handled. Someone once told me that we have to go through the bad to really enjoy and cherish the good. How do you like the Ava bracelet? I've been looking into getting one (for the opposite reason, lol), and was wondering if it's worth the splurge. I really like it so far! I've been wearing it for a few months now and it is SO informative. It tracks so many different things and it helps me keep up with my cycle really easily. It is expensive, though, so I can see why you would be hesitant. You accomplished so many great things!! Grow is such a great word to use. I'm a worrier also and I am trying to just let go and trust but it's always been a bit of a struggle for me. I also love the idea of having a designated monthly date night. I found this post SO fascinating for some reason. Like I legit just read every single word! I love learning more about people via posts like this, so thanks for sharing! I think one of your strengths as a blogger is that you are just NOT scared to share openly and honestly. I so adore that about you!! I think you did so well with your 2017 goals! First off, about the pill, YAS. I got the heck of it because they thought it was a component in my chronic pancreatitis (yikes!) and felt 936239% better off of it. I'm not able to be on any BC because of my health, but I'm 100% okay with that because it STINKS. We've been doing natural family planning for over 3 years and so far, it's worked! (Except the time we wanted to get pregnant, obviously, haha!) Also, LOVE the Five Love Languages book - it changed our marriage drastically for the good! Definitely dive into it when you get a chance!! YAY and YAY! I can't even believe what a drastic difference it made after being off of it for even one week! It was insane! And I'm so glad to hear that about the book. I'm determined to get to it this year! I think you did a great job with your goals! 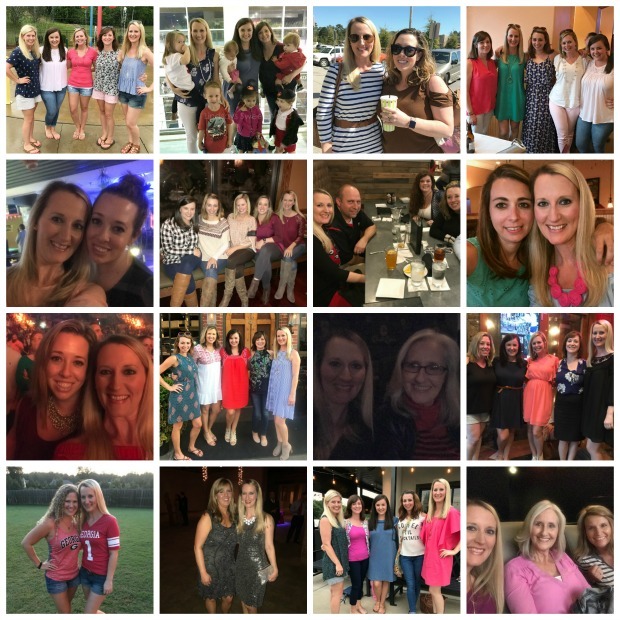 I am really hoping to stick with my monthly date night with my husband and monthly mom's night out goal this year! Good luck with 2018!! !